Mission: To provide therapeutic opportunities to individuals with disabilities through a program of therapeutic horseback riding. We wish to provide this service in a safe and enjoyable atmosphere to as many members of the community as possible. 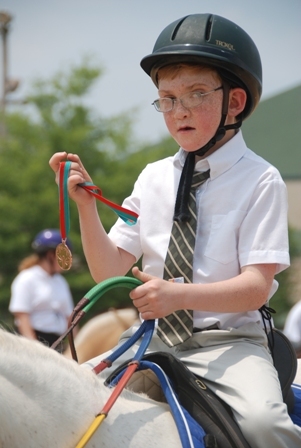 Therapeutic Riding at Normandy Farm, Inc. (TRNF) is a program where children and adults with a variety of challenges participate to enjoy a horseback riding experience. TRNF is volunteer staffed and provides riders with a safe, thrilling activity – a life long dream come true for many.